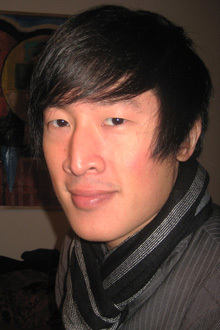 Michael Leong is the author of two books of poetry — e.s.p. (Silenced Press, 2009) and Cutting Time with a Knife (Black Square Editions / The Brooklyn Rail, forthcoming) — as well as a translation of the Chilean poet Estela Lamat, I, the Worst of All (blazeVOX [books], 2009). You can find him online at michaelleong.wordpress.com and bigother.com.